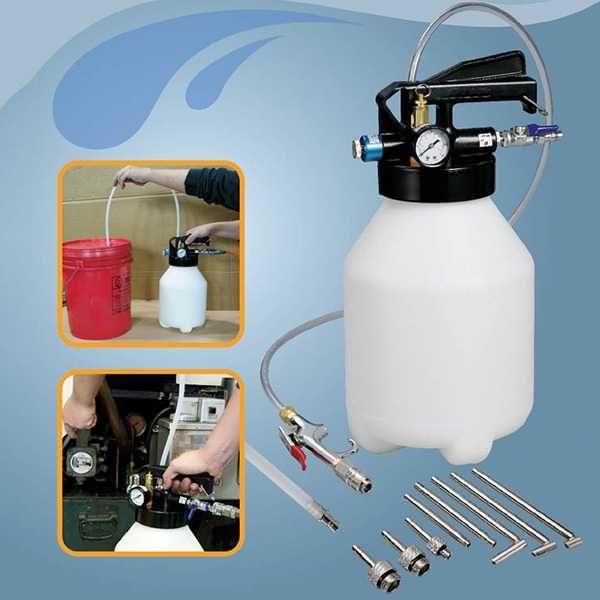 Use to extract , transfer and dispense fluid quickly,safety and cleanly. Non-spark , one man in same step operate. Provide with the pressure gauge , can be read & control the pressure in the tank more easilly. 6L capacity reservoir with volume guide. Nylon hose X 1M & 2 M pu hose w/one touch control gun for easy operating. One touch adapter for ATF oil transportation. Screw valve to allow easy change extract or dispense. High flow controll valve for extract fluid more quickly.